FIRST TIME IN THE U.S. ! In stock now with fast shipping from Authorized Caline Dealer !! 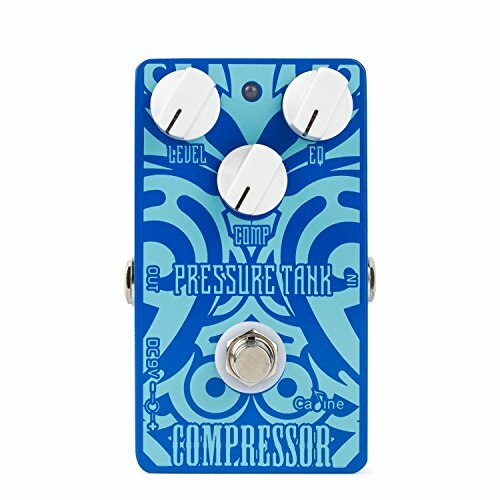 The new CP-47 "PRESSURE TANK " COMPRESSOR Another great sounding pedal from Caline. Caline CP-47 Pressure Tank Compressor The Pressure Tank Compressor, new for 2018 from Caline. Excellent for clarifying your attack and making those single runs sting. Used right, Compressors are a great addition for any type of music or player. Country pickin' to Power Chords and everything in between. Nice price and Compression response. Specifications: •Level • EQ •Comp •True bypass Only a few for sale here..... Nice addition to any pedal board.